It's okay, I get it. When I first heard the news that crimping has embedded itself firmly back on the beauty agenda this season, I wanted to run for the hills too. And in fact, it took me ages to look past the bad '80s flashbacks and the crinkle-cut chip references, but I'm so glad I did. Because this isn't the same old crimping we came to know and love and then hate again, this is crimping 2.0. Far more modern than its former guise, the new way to wear crimped hair is to use it to your advantage. Not only can it add texture to a sad-looking ponytail or create an ethereal wispy hair like no volume spray has ever done before (more on that later), but what piqued my interest was the concept of using small panels of crimped hair to adorn the head as a hair accessory. 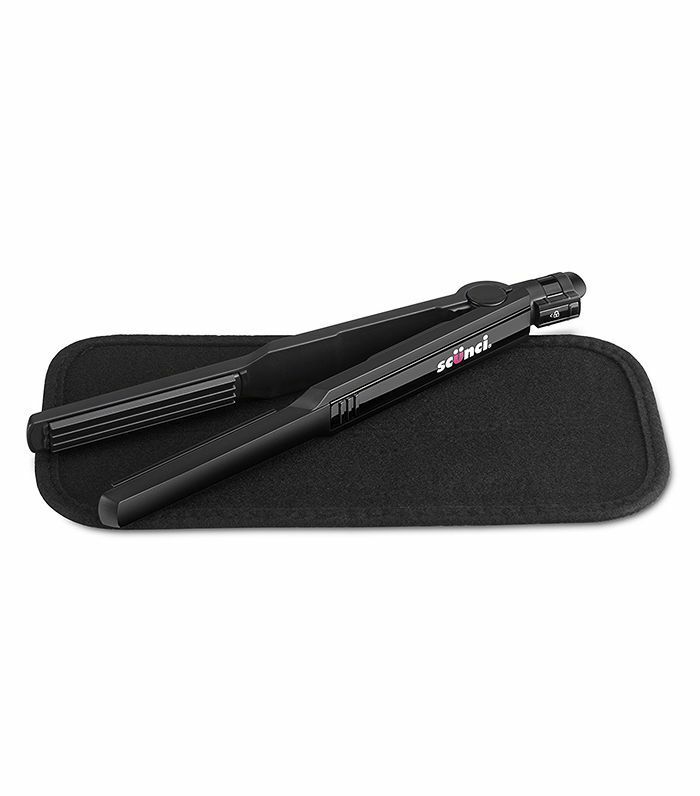 Thankfully, the tools have moved with the times too, as this month sees the launch of Ghd's new Contour Professional Crimper (£95), which, with its protective ceramic coating, plate guards and controlled 185°C temperature that embosses hair in mere seconds, is far kinder to hair (and fingertips) than those precariously clunky tools you'll remember from your teens. Still not convinced? Keep scrolling as I talk you through five crimped hair trends that will soon make you reconsider. If you have particularly fine hair, you've probably spent a lot of time painstakingly backcombing hair and spraying all manner of volumising mists into the roots, but crimping could offer you a shortcut to the fuller hair you've been dreaming of. Lift the top layer of hair away from the parting, and crimp the roots underneath before replacing the top layer once more. 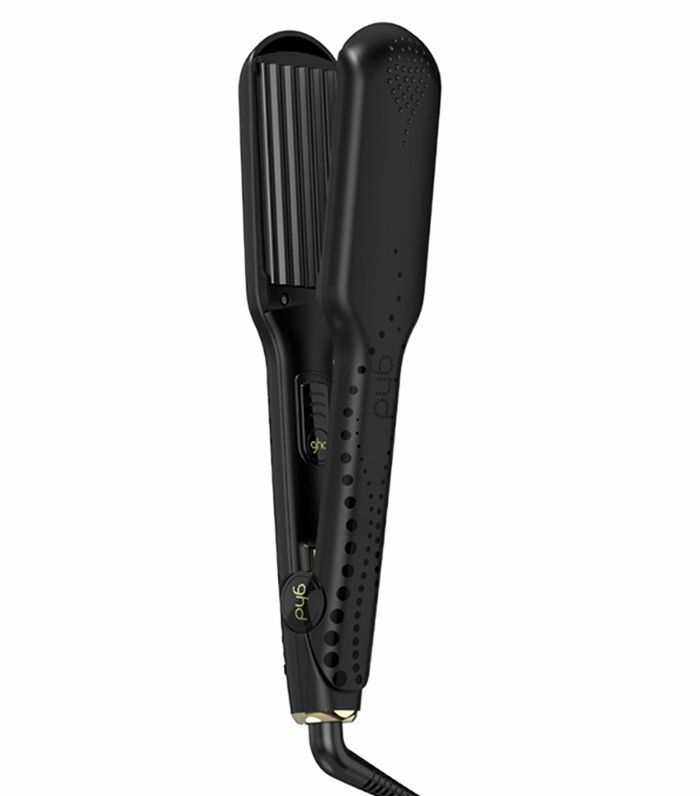 "You won't even see that the hair has been crimped, but it will have amazing long-lasting volume that has been created using a crimper," explains Adam Reed, backstage hair stylist and ghd Amabassador. It'll take no longer than three minutes. For the most modern incarnation of crimped hair, consider the texture as an accessory rather than a full hairstyle. It's a trend that was brilliantly embodied backstage at Fyodor Golan autumn/winter 2017 when hairstylist Syd Hayes left strong crimped impressions on single patches of hair. To get this super-defined crimp, Reed recommends prepping the section with a strong hair spray, such as Percy & Reed Surprisingly Strong Extra Hold Hairspray (£12), before crimping to help hair maintain its texture and shape. 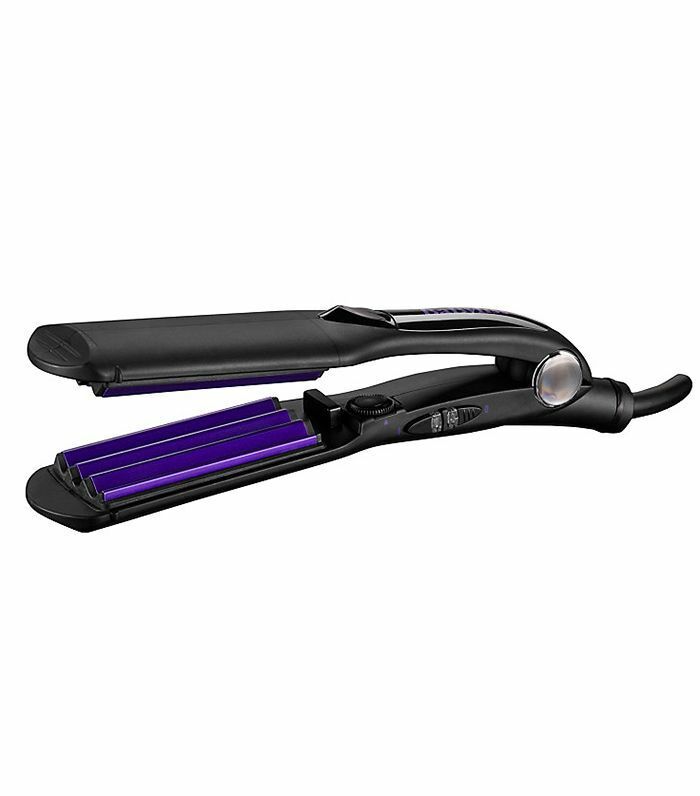 You could also try crimping single sections throughout the main body of hair. It's a look Reed is dubbing the Freestyle Feather. "Add fine panels of crimp detail to a beautiful blow-dry or sleek, straight hair, and as hair moves, the textured panels will become visible, giving a subtle feather effect." Look to the Alexander McQueen autumn/winter 2017 runway for inspiration, as the models walked down the catwalk, the momentum lifted the top layers of hair, revealing the wispy veils of crimped texture underneath. It's got a real ethereal feel to it. Reed's favourite way to wear crimped hair this season comes in the form of this textured pony. To re-create, part hair down the centre, and tie into a tight, low pony. "Hair should be super sleek on the head," he advises. "Then add extreme volume and texture by crimping all the hair in the ponytail below the elastic." Believe it or not, even an all-over crimp has found a modern new guise this season. For the hair at Ports 1961 autumn/winter 2017, hair was crimped to give it texture, and the shape was quite controlled, Without the giant volume the '80s were known for, this is a far more refined take on the trend. Try crimping the entire head of hair, and then use hair spray to set it away from the face for a sleek, utilitarian silhouette. Up next, this troubleshooting guide is a bible for anyone with fine hair.